One of my favorite past times is finding a vintage quilt with a really neat look, then figuring out how it was made and making a new quilt using the same pattern. Sometimes this is easier said than done. 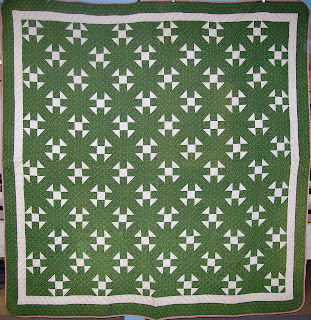 Older quilts weren't always cut and pieced accurately and the blocks were often made from the fabrics on hand. Most of the time they are not perfect and that's okay ! 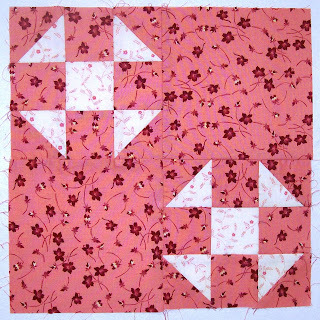 Here is a picture of the quilt from my collection that will be the Remake 2012 quilt. When I first saw it I went WOW !! I saw the "X"s in the setting blocks with a cross intersecting it - kinda like a wheel spoke. It wasn't until closer examination did I realize the block pattern is a churn dash block alternated with a plain setting block. The background fabric is what really makes the quilt. The tiny calico blends together from one block to the next to create the illusion I was seeing. 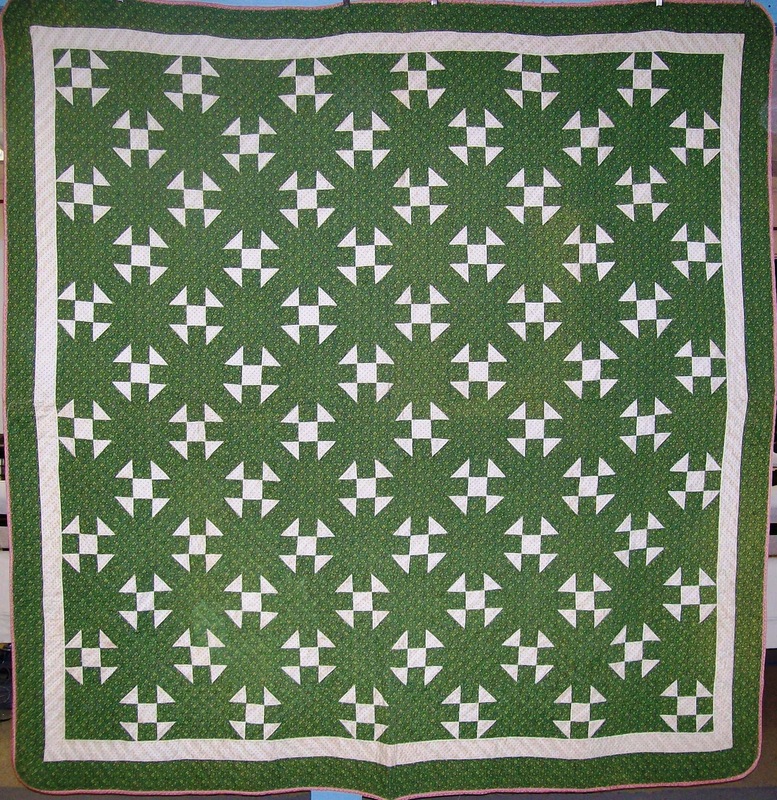 Combining the dark green calico with a white and black pindot fabric, the churn dash blocks disappear into the background and create the subpatterns while the lighter fabric appears to rise off the quilt. 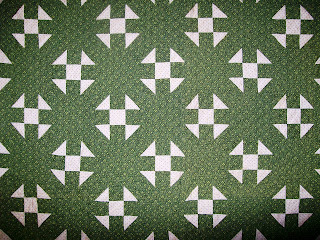 The original is a summer quilt. The batting appears to be just a thin piece of flannel and the backing fabric is pieced together. 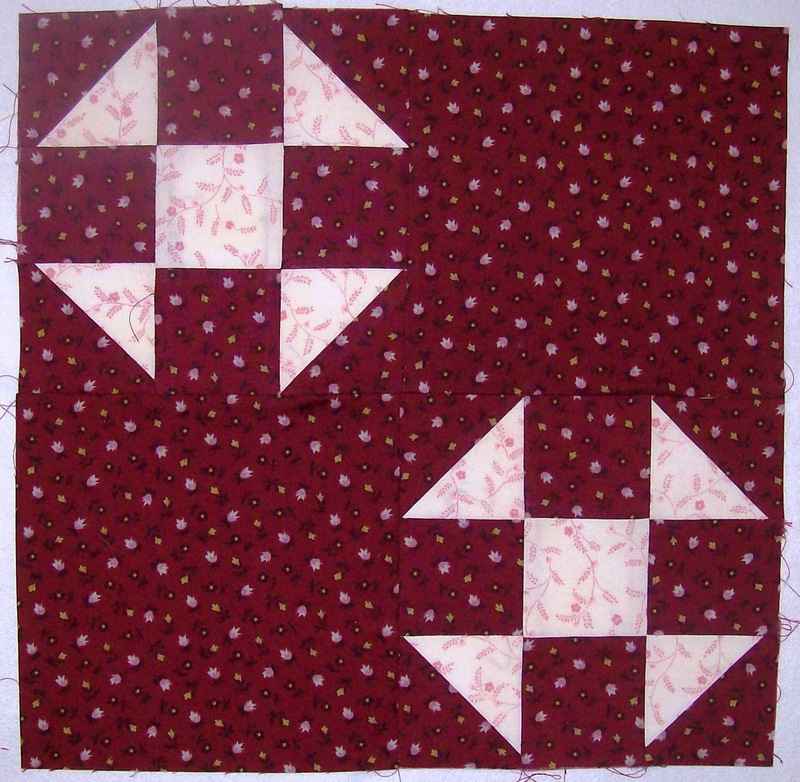 The entire quilt is hand quilted and the quilting pattern isn't consistent from one block to the next. The pink binding may have been applied later as it is machine sew on. Regardless of it's imperfections - I still love it ! The next step is recreating this look that I loved. While the quilt was hanging out on my studio wall last Fall my mother decided she wanted to make it. 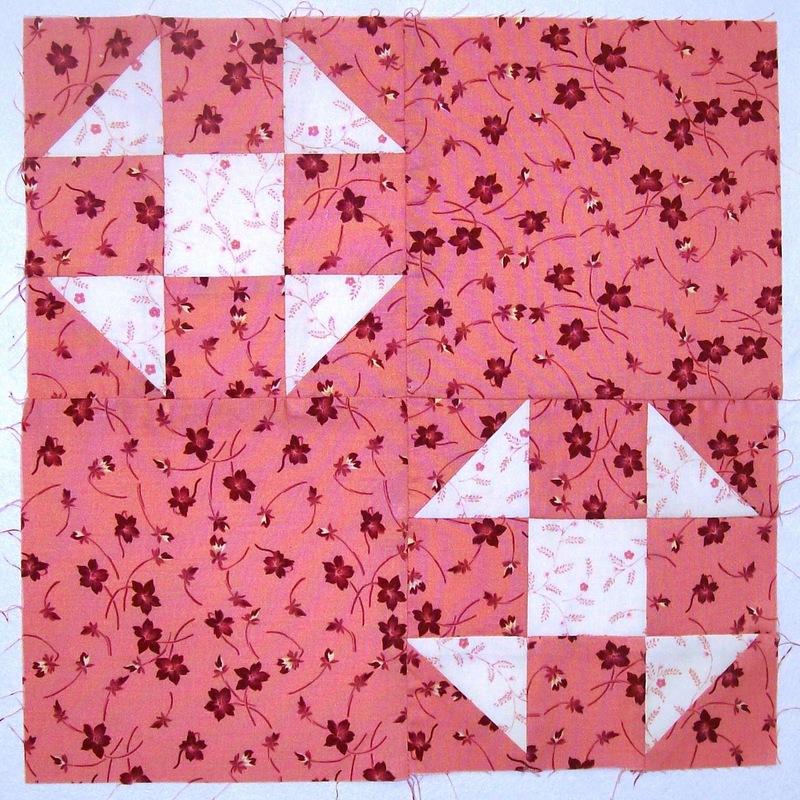 She had just finished her 2011 quilt - a remake of another old pattern - and was ready for a new challenge. So we started selecting colors that would fit her decor. The first fabric selections yielded this block. While the colors go well with her decor the block just didn't seem to have the pizzazz we were looking for, so back to the fabric stash. 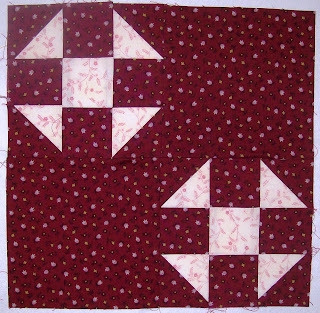 The darker burgandy background on the calico gave it the depth needed to really make the lighter fabric pop. Yep - this is the color combination we want. When we put the two blocks side by side on the design wall and stepped away from them, the choice was easy. Now the fun begins. 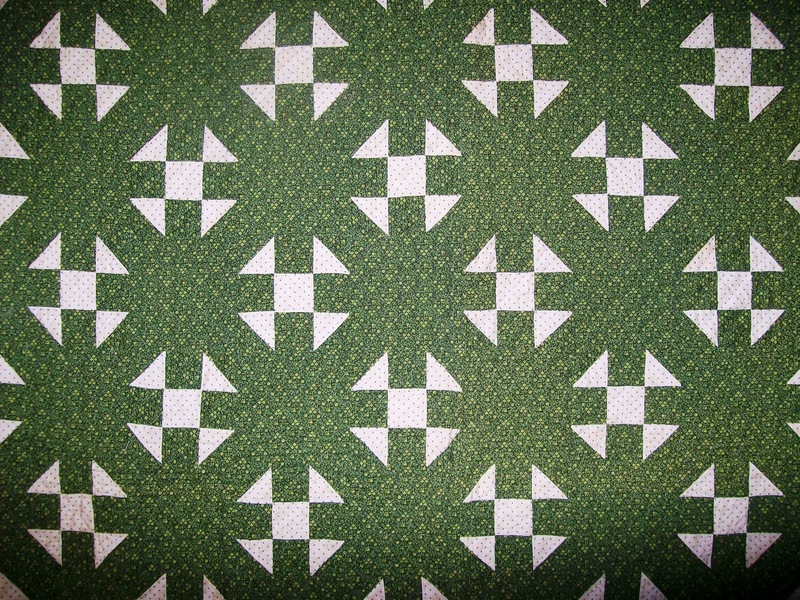 An overall quilt layout on paper gets created and then it's onto figuring the number of blocks needed, the number of half square triangles to create, the number of strips to cut. We have already made the decision to make the quilt slightly larger to accomodate a queen size bed. Stay tuned for updates on Remake 2012 during the year ! It's wintertime. It's lazy nights in the living room watching TV and movies. It's friends and hanging out time. It's snuggled on the couch with my favorite pooches time. And nothing snuggles better than a quilt! 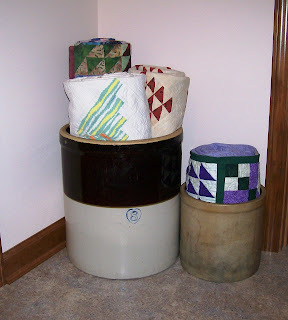 Here is a easy way to store quilts so they are easy to get to by anyone who happens to be hanging out. No digging in the closets or the cedar chest - just grab a quilt and cuddle up. Just fold the quilts lengthwise into either quarters or thirds, depending on how large they are and how large the crock is, and then roll them up sleeping bag style and slide them upright into the crock. Quilts with thinner battings roll easiest and the larger the crock, the more quilts it will hold. You can let them be a focal point in the room and compliment your decor or you can tuck in the corner. Regardless of the location, your quilts will be ready for the next time you need them. 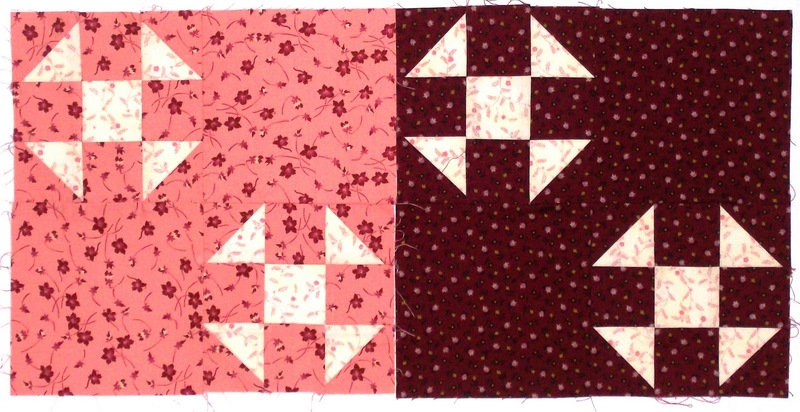 Happy New Year - What are your quilting resolutions ?? Happy New Year and Welcome to my Blog !! Yes, I now have already completed one of my New Year's Resolutions - setting up this blog. 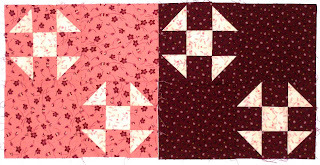 What are your quilting resolutions for 2012? Organizing your stash? 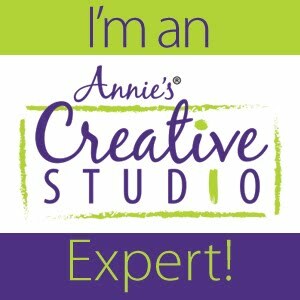 Cleaning your sewing area? Finishing UFO's? 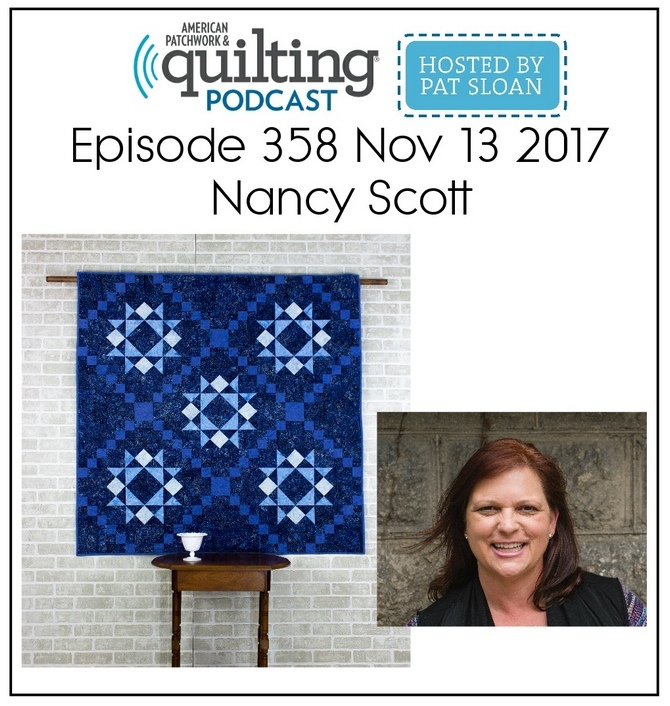 Entering a quilt show? Going on a shop hop? Learning something new? Taking a class? Whatever your goals are for the year, I wish the best of luck in achieving them.